Asus newest "Win With Hero" Promo offers consumers a FREE overwatch game. 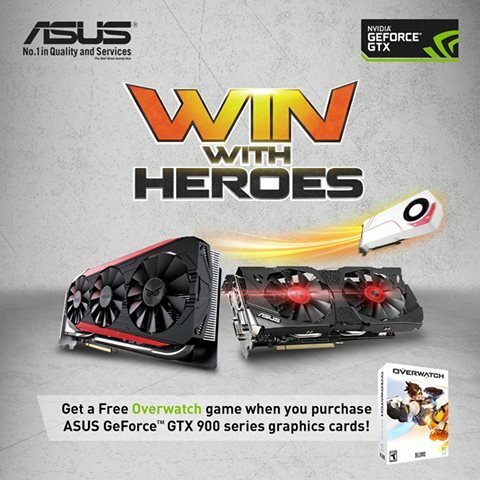 Suit up with any ASUS GeForce GTX 900 series GPU, and get a FREE Overwatch game! Hurry and get this exclusive offer for valid purchases in the PHilippines from July 1 to July 31, 2016 only..